Surprise your child with a letter or video from Santa! A company called Elfi offers personalized letter and videos, which is sure to give your loved ones a lot of joy during the holidays. Personalized Santa letters are 100% free. You can download one of the offered 18 templates and edit your letter freely whenever you want. When you’re done, just download your letter, print it and give it to your loved one. It’s as simple as that. 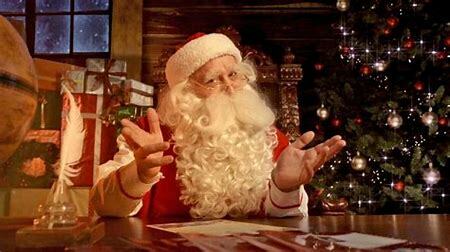 Personalized Santa videos will include your loved one’s name and photos. They come with a 180-day money back guarantee. That means if you’re not satisfied, you have till June to get your money back. But that’s not the best part. The best part is that your video will be delivered to you within 2 hours! If you procrastinate like I do, you’ll appreciate the fact that you can order and receive your video on Christmas day. Elfi even has an app that you can download from the Play Store and App Store. With the Elfi app, you can watch your personalized Santa videos from any device that you want. Elfi doesn’t just offer free Santa letters. They offer free Santa calendars, wallpapers and more! With a 9.8/10 rating from 35,000 customers, they must be amazing. .Check them out now. It’s not too late.